Kids ages 6+ will develop coordination, balance, strength and self confidence as they practice tumbling, juggling, and acrobatics in a non-competitive environment. This class if for the aerialist who has a solid grasp of the basics on silks (including familiarity with a variety of climbs and tricks in footlocks and knots as well as inverting in the air. This class will also include more rope and trapeze, building on the student's foundation with a continued focus on quality of movement and proper technique. This class will contain more advanced climbs, wraps, drops, and sequencing for the intermediate/advanced aerialist on both silks and rope, with a focus on quality of movement and proper technique. This class is designed for advanced aerialists who wish to work on creative sequencing of dynamic movement. An emphasis will be placed on understanding mechanics and pathways to allow for a safe expression of the movement and allow us to maintain flow in our choreography. There will be an emphasis on conditioning for strength and endurance and a review of momentum pathways as we explore flow in our technique. Pre-requisites: Students should have a strong foundation in momentum. By instructor approval. Email allie@radicalmovementfactory.com to schedule an assessment. We offer kids summer camps, as well as weekend immersion camps for students of all levels from absolute beginner to the advanced student. All camps focus on conditioning, handstands, acrobatics, and aerial in a safe and supportive environment. All week long camps culminate in a group performance. 2019 dates will be posted soon. The Factory hosts world renowned guest instructors in the disciplines of aerial, handbalancing and acrobatics. Workshops are a great opportunity to gain new skills and widen our circus community. Open Training is available for intermediate and advanced students to practice skills they've learned in class or work on creative projects. No skill-sharing is allowed. Ask your instructor to be cleared for Open Training or email us to schedule an assessment. These classes are designed for students 16 years and older who are new to aerial arts and acrobatics. Students will learn how to climb and go upside-down along with an emphasis on proper form and engagement of correct muscle groups. Introductory movements in the knot and footlocks will also be explored. Students will be offered a taste of all of the different aerial disciplines (rope, silk, and trapeze) as well tumbling and partner acrobatics in a safe and supportive environment. This class is perfect for both absolute beginner to advanced aerialists, along with adults looking to shake up their fitness routine with a fun yet challenging workout. Expect to come away from these classes with a new and more profound connection to your core while developing upper body strength and flexibility. Circuit training will take place both on the floor as well as in the air as we tailor exercises to each student's skill level. This class is for the aerialist already familiar with the basic climb, going upside-down and material covers in the Level 1 Intro classes.. We will explore a variety of climbs, drops, and poses, wiith a focus on quality of movement and proper technique. Pre requisites: By instructor approval. Email allie@radicalmovementfactory.com to schedule an assessment. This class is for the aerialist already familiar with the basic climb and going upside-down. We will explore a variety of climbs, drops, and poses, wiith a focus on quality of movement and proper technique. Pre requisites: By instructor approval. Email emily@radicalmovementfactory.com to schedule an assessment. This class will contain more advanced climbs, wraps, drops, and sequencing for the intermediate/advanced aerialist, with a focus on quality of movement and proper technique. We will introduce and refine dynamic movement on rope and silks. Special emphasis will be placed on efficiency to sustain the most ease in both dynamic and static movement. We will continue to develop proper conditioning to support strength and endurance. Pre requisites: By instructor approval. Email info@radicalmovementfactory.com to schedule an assessment. This class will contain more advanced climbs, wraps, drops, and sequencing for the intermediate/advanced aerialist, with a focus on quality of movement and proper technique. Pre requisites: By instructor approval. Email allie@radicalmovementfactory.com to schedule an assessment. This class is designed for absolute beginners, and anybody who loves spinning. Come explore this ground-based apparatus and a different type of movement, waltzing around in a giant hoop! Due to equipment size restrictions, students below the height of 4'9 and above the height of 5'11 will have some limitations. Teens may be allowed with instructor approval. 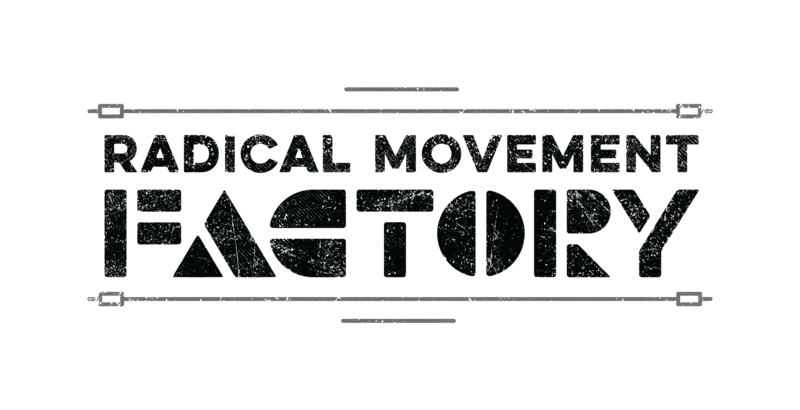 Email info@radicalmovementfactory.com with inquiries.